« Will you be at the 7th UK Storm Gathering? The following blog was previously posted on September 27. It is possible that these kayaks have been in hiding for the winter, and with warming temperatures they may just show up for sale in your neighborhood. Please keep an eye out. Thanks for your help! I don’t think that there’s a person out there who hasn’t had one of “those” weeks. The week where everything seems to go wrong, and just when you think it can’t get any worse… it does. Mark and I are having one of those weeks, which compounded when we walked out of our hotel room this morning to discover a cut lock, cut cam straps and two missing kayaks. 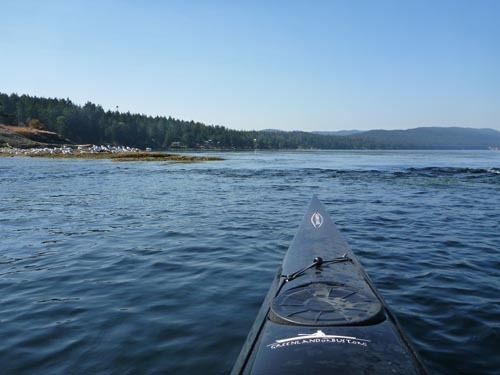 The kayaks were stolen from our car sometime during the night of September 25 to 26 while we were staying in a hotel in Surrey, B.C., which is located just north of the U.S. border. 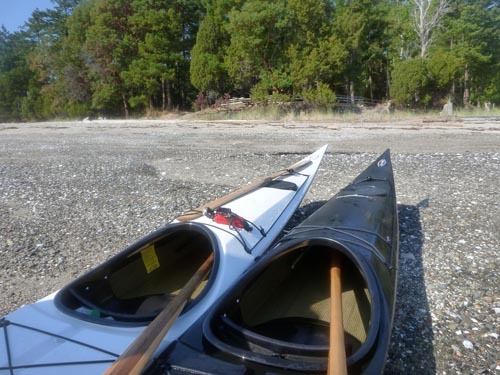 Both kayaks are Tahe Marine Greenland LC’s. Both are a carbon, kevlar, fiberglass blend, and both have black keel strips. The black one has (had?) large stickers on the side saying “Tahe Marine Expedition.” It is (was?) marked with Greenland or Bust stickers and is about three years old. The second kayak has a white deck and a black hull which has the carbon fibre pattern on it. On the front of the deck it says TCI Lite. It is (was?) also marked with Greenland or Bust stickers. It is new. 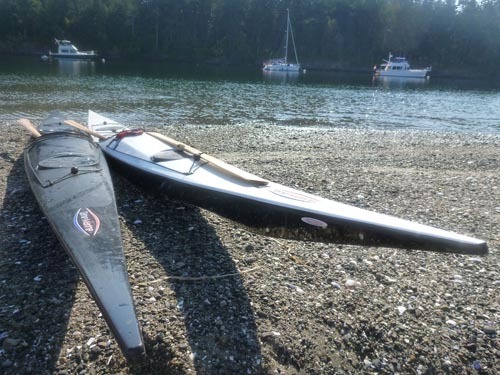 If you see these kayaks, please contact us at info@greenlandorbust.org (taking into consideration that they may have been sold to an unsuspecting person), or contact your local police department. 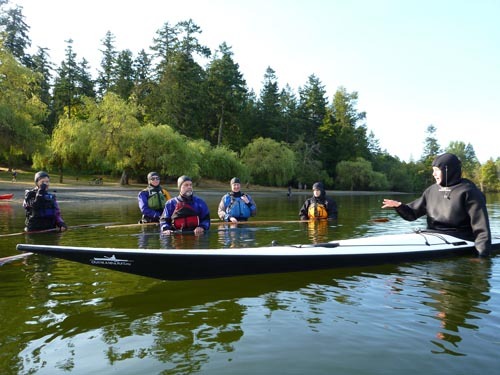 Please help us to spread the word to the Canadian and U.S. paddling communities. 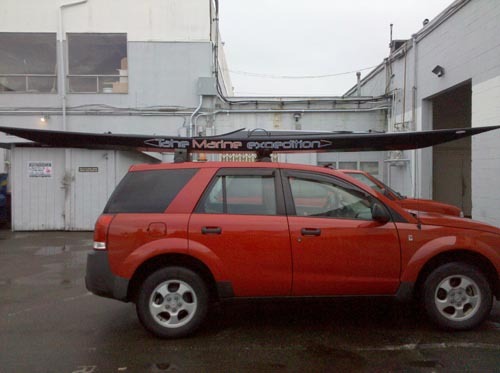 Below are pictures of the stolen kayaks. Thanks for your help. Helen, I was just sick when I heard about this! I hope that they get recovered soon. 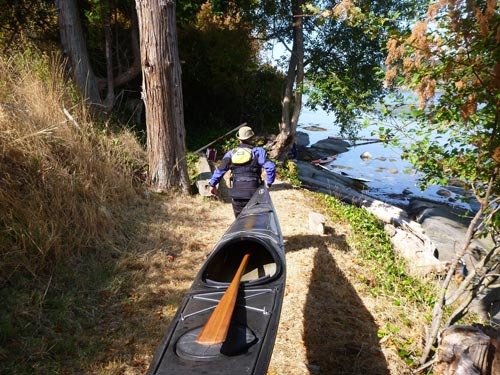 The word has been passed on to a number of kayak groups here in WA State. This kills me. I always assumed that kayaks were not a theft of convenience… you’d have to have a way of transporting a 17′ boat, assume a rack, kayakers don’t steal from each other, etc. This breaks all the rules. AND they cut not only the cable but the tie-downs (why not just unfasten those?). This makes no sense. ARGH! How sick making! I hope these people get caught and your kayaks are returned. I wonder what they plan to do with these boats? The boats are so hot that who would touch them. Yeah, these boats will be hard to unload. Not easy for the casual paddler either. They’ll be back. Looking forward to your Nordic Odyssey. Will try to see you then. PS cannot find any date-stamp in your blog-entry! Please include in future.